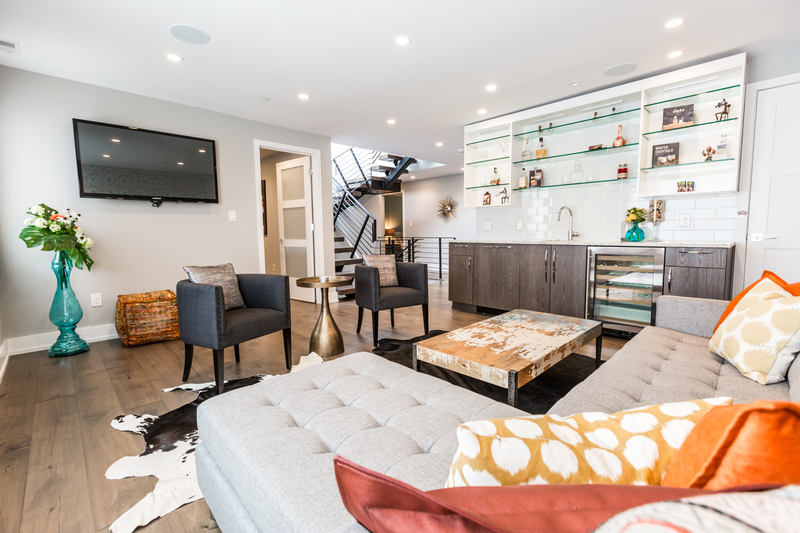 Christina Henck and Henck Design are driven, thoughtful, eclectic professionals that go far beyond turning your house into a home, they turn it into a work of art! With carefully chosen artistic pieces to custom built renovations, Christina and crew can tackle any home design project, large or small. My company has employed Henck Design many times to transform everything from small homes to large luxury new construction projects into stunning, swoon-worthy gems! I can't say enough great things about Christina and her company. She is a pleasure to work with and a truly talented professional. We moved in June of 2017 from a condo to a townhouse and doubled our square footage! With that, we really needed help filling the space. Both my husband and I wanted a space that was comfortable and polished at the same time. The process of choosing furniture and accents was a lot of fun and Christina was always happy to go back to the drawing board if we weren't in love with initial suggestions. Additionally, we both appreciated how Christina honored our budget and suggested things to splurge on and things to save on. All in all, we couldn't be happier with the end product...especially the bedroom! Christina Henck is an exemplary and consummate interior design professional. It has been a pleasure to refer interior design work to her as I know clients will be cared for with stunning end results. I predict a meteoric rise for Christina with scores of beautiful jobs and delighted clients. Christina is amazing. She has a great taste level and matched that with the personalities of her clients. We were able to complete make over our new condo in Philadelphia while we live in Denver. She is highly responsive and involved with every detail. We would highly recommend her to anyone that need design work. When I moved into a new construction home I was excited about the design possibilities but also incredibly over whelmed. Working with Christina made the whole process a pleasure. Christina was extremely hands on throughout the whole process. From focusing my vision to selecting pieces, to hanging art work, Christina was professional, enthusiastic, and thoughtful. Christina demonstrated a wide knowledge base and a unique perspective that helped create my dream space. She always made me feel like a priority and was highly professional. I could not be happier with the work Christina did and look forward to working again with her in the future!